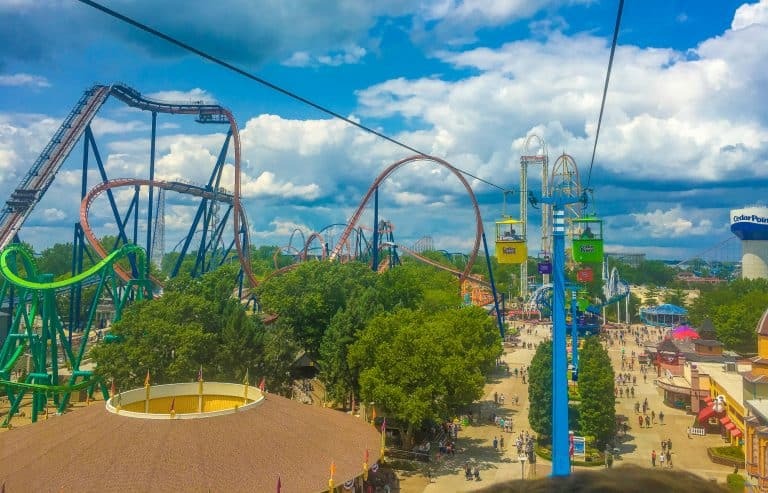 From the thrilling coasters of Cedar Point to the Underground Railroad Freedom Center in Cincinnati, there are a stunning array of attractions in Ohio for families to enjoy. Past residents of this state have made substantial contributions to pop culture and sports competition. 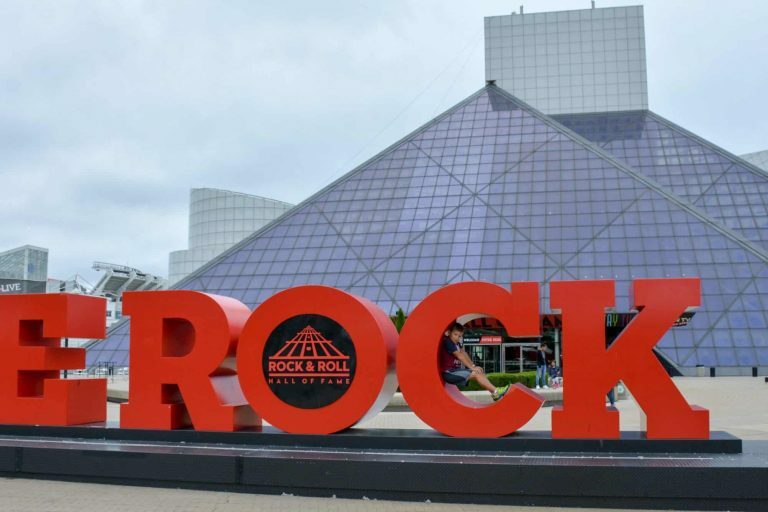 Today, families can learn about America’s rock and roll history in Cleveland. Additionally, there are eight major league professional sports teams across the state providing many opportunities for families to enjoy a game. Here are Trekaroo’s top 10 fun things to do in Ohio with kids. We’re an affiliate of Booking.com. When you book through Trekaroo, you get their lowest price guarantee and help us to keep Trekaroo free! 10. Root for the home team. The favorite summer activity for many Ohioans is a visit to their local ballpark. In Cincinnati that is the Great American Ballpark overlooking the Ohio River. The stadium allows families to bring in their own food so that your visit to the ballpark with the kids is more affordable. If your family is a fan of the Reds, you might already know that they have amazing Hall of Fame and Museum. Even if you aren’t fans, the whole family will certainly enjoy the museum where older kids can practice pitching, and little ones can dress up in uniforms. Of course, the Reds aren’t the only major league baseball team in the state. Families can also enjoy an Indians game in Cleveland. The Pro Football Hall of Fame celebrates all that is professional football. It is a must visit for families to whom tailgating and tossing the pigskin around is a reverent activity. The Hall of Fame honors those who’ve made outstanding contributions to the sport, preserves artifacts, and promotes football’s place in American culture. Another part of the Hall of Fame’s mission is to host kid-friendly events like First Play. First Play is a commemorative event where nearly 2,000 youngsters line a two-mile route passing an official NFL football from the site where the National Football League was founded back to the Hall of Fame. 9. Learn about aviation in Dayton. Ohio has much to offer in the histories of aviation and space exploration. Neil Armstrong and the Wright Brothers are among the native sons who have taken flights of fancy whether on the earth or around it. The Dayton Aviation Heritage National Park marks the birthplace of plane travel. The National Park visitor center looks small from the outside, but the inside is full of modern exhibits that will inspire future pilots. 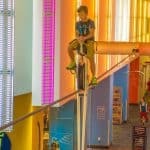 Kids most enjoy the interactive exhibits that demonstrate the physics of flight. Exhibits also tell the story of Orville and Wilbur Wright’s early years in Dayton setting the scene for their flight in North Carolina. Looking to check out some airplanes in Ohio? The best place to do that is at the National Museum of the Air Force. It is the oldest and largest military aviation museum in the world. 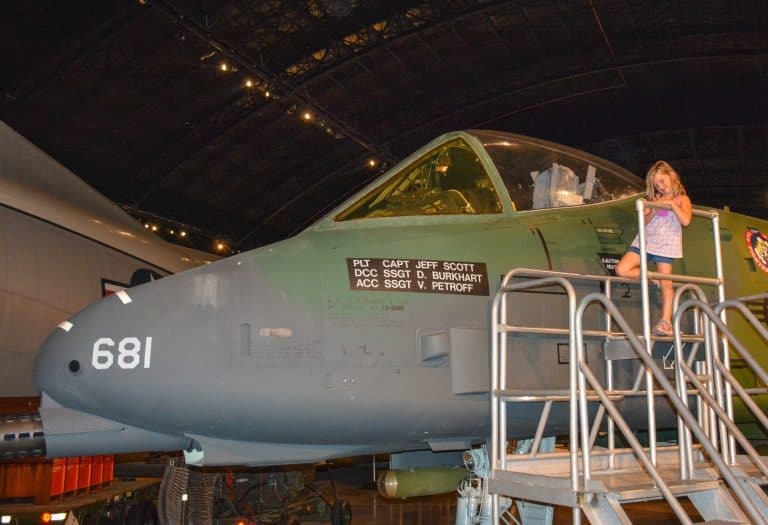 There are four hangars of US Air Force aircraft dating from World War II to the Cold War. Admission to this museum is free. The state’s contributions to space flight are most notably celebrated in the Armstrong Air and Space Museum. The museum was named for Neil Armstrong, the first man to set foot on the moon. Appropriately, the items on display include the Gemini VIII spacecraft, Apollo 11 artifacts, and a moon rock. Need lodging in Dayton? Find a great hotel. 8. Bike along the canal at Cuyahoga Valley National Park. The scenic Cuyahoga River has been shaped by the people and industries that have thrived along its banks. First, in the 1830s, the Ohio and Erie Canal was built connecting the Ohio River with Lake Erie. Only 50 years later, trains began running through the valley as this part of the country became industrialized. Today, this land has been set aside for the people as Cuyahoga Valley National Park. 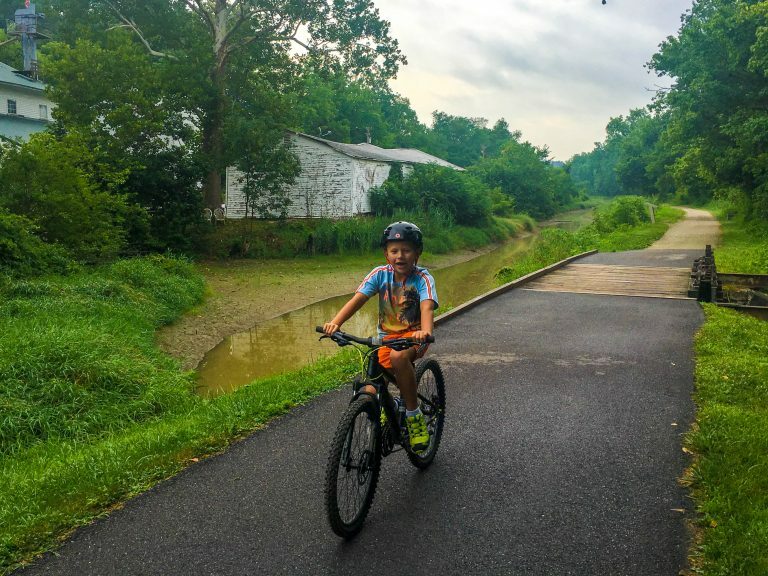 Families can bike beside the river on the flat Ohio and Erie Canal Towpath. The railroad, once carrying coal, is now Cuyahoga Valley Scenic Railroad. This scenic railroad transports visitors and their bikes the length of the national park. The park is also scattered with trails. There are trails to waterfalls, like the popular Brandywine Falls. Another family favorite is the Ritchie Ledges Trail because it winds in the shade of towering sandstone cliffs and hemlock trees. While you’re in northeast Ohio, be sure to stop by Ohio’s Amish Country just south of the national park. This region of Ohio is home to the world’s largest Amish/Mennonite settlement. Thus, visiting Ohio’s Amish Country is a charming way to take a break from the hectic pace of modern life. Families can ride a horse-drawn buggy, tour an Amish home and learn about daily life in this community at Schrock’s Amish Farm in Berlin. 7. Celebrate freedom at the National Underground Railroad Freedom Center in Cincinnati. The National Underground Railroad Freedom Center in Cincinnati has been telling the stories of Ohio’s Freedom Trail for almost 15 years. Ohio’s Freedom Trail was the way to freedom for many slaves west of the Appalachian Mountains. 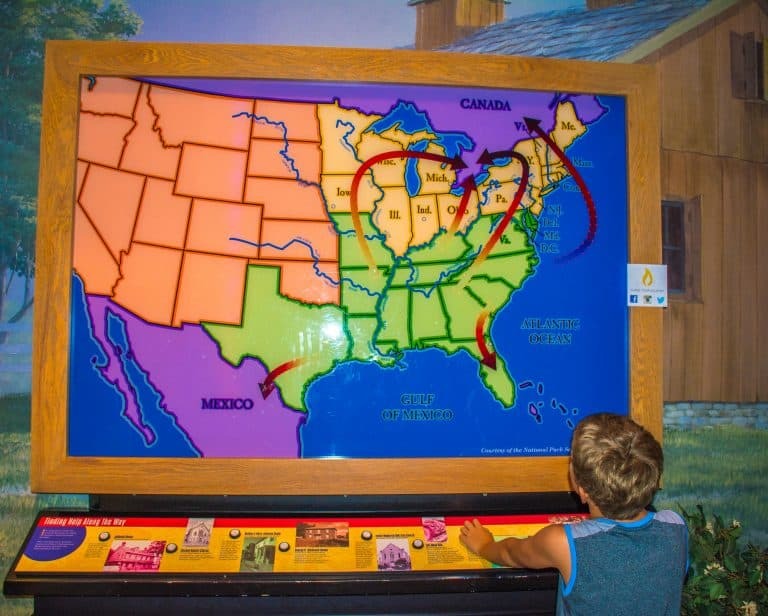 At this history center, families can learn about the pathways that led slaves to freedom by playing interactive, kid-friendly games. These games allow modern children to make choices about escaping slavery as if they were a slave child over 150 years ago. Appropriately, the Freedom Center looks south onto the Ohio River. The Ohio River once divided the western part of the nation into the slave-owning states of the South from the North. Ultimately, the National Underground Railroad Freedom Center is so much more than a museum about the Ohio Freedom Trail. It also challenges visitors to consider human trafficking and modern slavery. As a result, the Freedom Center stands among America’s top museums as a leader in educating the next generation about the importance of freedom using examples from the Underground Railroad and Civil Rights Movement. Don’t forget to grab some Graeter’s ice cream while you’e in Queen City! 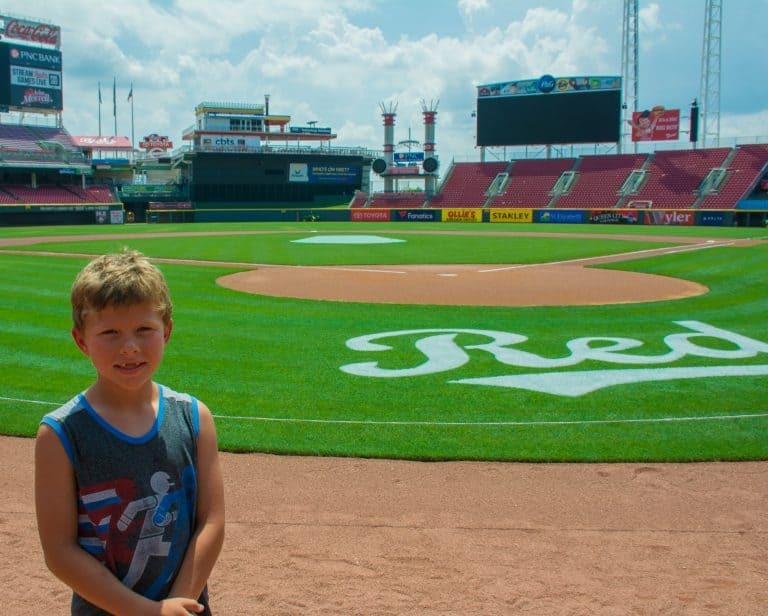 Check out Trekaroo’s Top 10 Things to Do in Cincinnati with Kids. Sometimes you just want to get away from it all and relax. The State Park Lodges are probably the best place for families to do that in the state of Ohio. Whether your family spends one night at a lodge on a road trip or stays for a full week in a cottage, the time relaxing in nature will surely be memorable. In total, there are 8 of these historic lodges spread across the state for families to enjoy. At Hueston Woods State Park, families can enjoy 200 acres of virgin timber forest. Matthew Hueston set aside these towering old growth beech and sugar maple trees back in 1797 for his descendants. Now, the state park has a full network of trails through the forest for mountain biking, hiking, and disc golf. After a day spent outdoors, families can then return to the Hueston Woods State Park Lodge for dinner with a view of Acton Lake. Order the bananas Foster for dessert, and you certainly won’t regret it! Families can enjoy the waterfront and bird watching in the marshlands at Maumee Bay State Park on the shores of Lake Erie. This is also a nice place for families to bike because it has an extensive network of flat bike paths. The indoor pool area with a cute splash pad and the adjacent indoor toddler play area in the Maumee Bay State Park Lodge is a favorite for families with little ones. 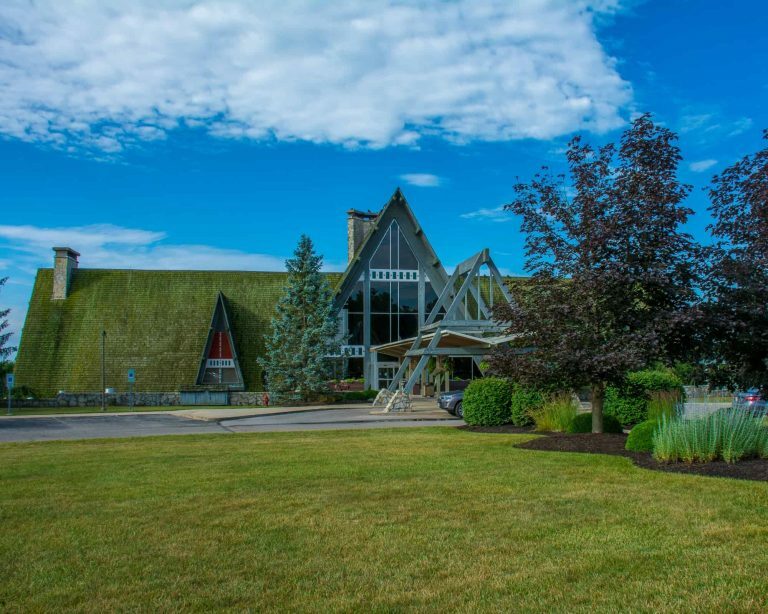 Check out Trekaroo’s full guide to your Ohio Weekend Getaway at an Ohio State Park Lodge. 5. Visit the shores of Lake Erie. Did you know that the Great Lakes make up 84% of the all the fresh water in North America? At Toledo’s National Museum of the Great Lakes, families can learn many interesting facts about the lakes that define America’s Midwest. This modern museum has interactive exhibits where kids are able to explore the ruins of historical underwater shipwrecks. Even tots can learn about the industry on the lakes by shoveling coal pieces made of foam from train to canal boat to ship’s engine. Another museum highlight is touring the Col. James M Schoomaker, a retired steam-powered cargo ship, docked outside the museum. Lake Erie has just about 312 miles of shoreline in the state of Ohio. The Marblehead Peninsula features picture perfect sunrises and a quaint waterfront village lifestyle. 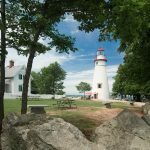 Out on the peninsula’s jagged edge is a state park that is home to the Marblehead Lighthouse, the oldest continuously operational lighthouse on the Great Lakes. 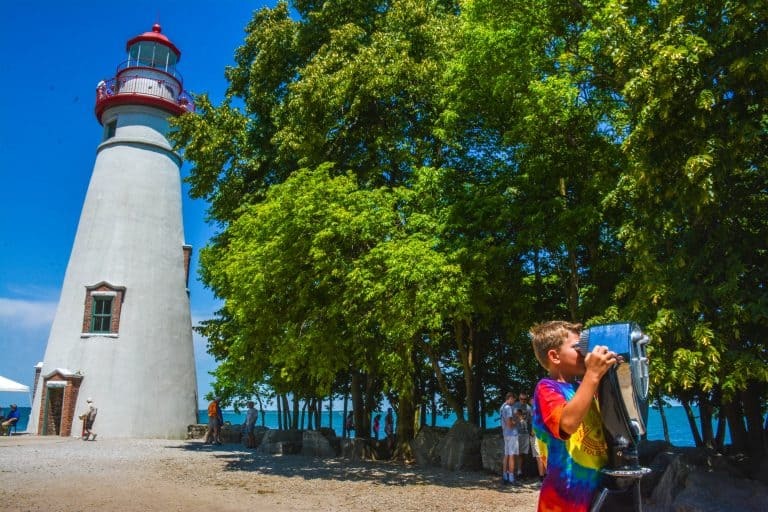 The shores of Lake Erie may be one of the best places for families to enjoy a relaxing vacation in the entire state. Thus, a favorite Ohio vacation destination is the small, seasonal town of Put-In-Bay on South Bass Island. On the island, families enjoy biking the flat roads out to scenic points on the coastline. Another island family favorite is a visit to Perry’s Cave Family Fun Center where families can tour a butterfly house or play mini golf. Finally, don’t miss the opportunity to take in the view from the top of Perry’s Monument. 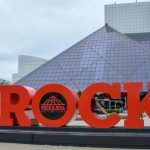 Looking for more things to do in Toledo along the shores of Lake Erie, check out Trekaroo’s Things to Do in Toledo with Kids. 4. Appreciate American pop culture in Cleveland. Cleveland deejay Alan Freed unwittingly put a match to a fuse in the early fifties when he spun an R&B record during his nightly radio show and called it, “rock and roll.” The Rock and Roll Hall of Fame houses the most impressive and iconic collection of music artifacts you’ll ever find under one roof. This Cleveland museum continues to expand its priceless collection including concert posters, rare recordings, and offbeat items. 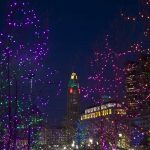 If viewing the movie, A Christmas Story, is a holiday tradition in your household, then Cleveland has a treat waiting for you. You can actually visit Ralphie Parker’s dysfunctional and fun household. The home used for the movie’s exterior shots is open to visitors, and the photo opportunities abound! Your family can try on aviator hats and pink bunny suits and gather around leg lamps for that wacky Christmas card picture. This museum a particularly good one to share with your teenager. Cleveland is a great place for families with teens. The Cleveland Museum of Art has many digital experiences that kids are sure to love. 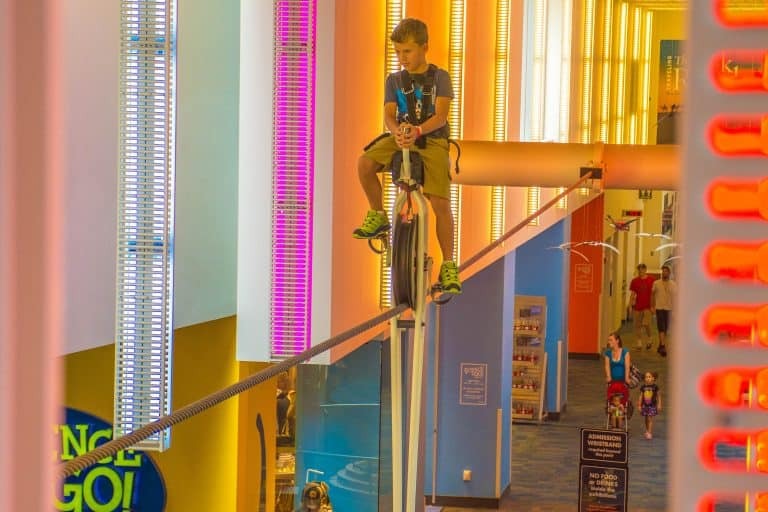 Explore Trekaroo’s Top 10 Things for families to do in Cleveland! Looking for a place that will encourage your child’s curiosity and get them thinking about the natural world around them? Columbus’ COSI, Center for Science and Industry, has a vast collection of hands-on interactive science exhibits. Have a 6-year-old who is obsessed with dinosaurs? At COSI’s new American Museum of Natural History Dinosaur Gallery, kids can make discoveries about flight by playing with a puzzle to create dinosaurs and birds with certain wing and body specifications. Gadgets, on the second floor, is the perfect place for those interested in engineering to explore mechanics. Curious kids can even take apart old machines and computers at the Gadget Café. There are interactive educational opportunities to be found throughout Columbus. In 2018, Franklin Park Conservatory opened a new children’s garden designed to inspire young children to learn about Ohio’s ecosystems through play. Older children can watch as an artist molds glass vases and ornaments outside the conservatory in the Hot Shop. Do you have a child that is artistically inclined? The Columbus Museum of Art has an entire floor, the JPMorgan Chase Center for Creativity, with interactive experiences for families. It’s a great place to bring kids for indoor play on a rainy day. Check out Trekaroo’s Top 10 Things to Do in Columbus! 2. Ride the coasters at Cedar Point. Cedar Point Amusement Park has 17 roller coasters and a total of 72 rides. Those seeking the world’s tallest and fastest coasters will be happy at “The Roller Coaster Capital of the World.” As my son reminded me repeatedly during our visit, Cedar Point’s Top Thrill Dragster currently ranks as the world’s second highest coaster at 420 feet, and it tops out at a speed of 120 miles per hour. However, the younger crowd will be happy in the three park areas dedicated entirely to them. From friendly Peanuts characters to bounce houses and tot-sized coasters, little ones can also play the day away. If your family finds that they need a break from all the thrilling drops and spinning rides, Cedar Point even has its own beach located on the shores of Lake Erie where you can splash in the water. The state of Ohio has 7 AZA accredited zoos. While these zoos make education and conservation a priority, most of these zoos have something special and unique as well. That’s why going to the zoo is our pick for the top thing to do with kids in Ohio. Columbus Zoo and Aquarium is simply the best in the state because it has everything from creative play areas to large animals in expansive enclosures. Most noteworthy is the 43-acre Heart of Africa exhibit featuring lions, zebras, and giraffes. Kids can even play in a model of Jack Hanna’s African safari tent all while watching monkeys jumping around in the adjacent enclosure. Animals from the continents Asia, North America, and Australia are also found at this massive zoo. 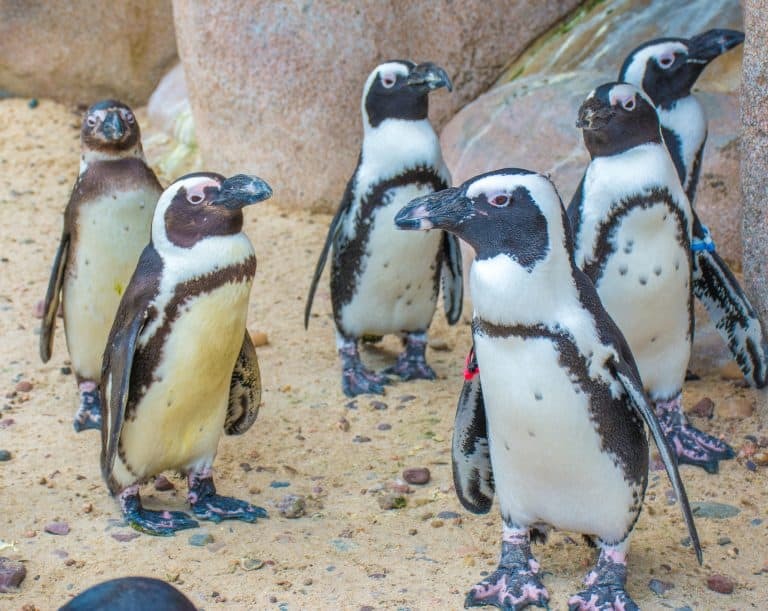 The Toledo Zoo is home to animals from around the world, from hippos to penguins. The zoo’s primary conservation focus, however, is right in their own backyard. The zoo is responsible for releasing hellbender salamanders into the wild, cultivating wild prairies in northwest Ohio, and reintroducing lake sturgeon to the nearby Maumee River. As far as my kids are concerned, the highlight of the Toledo Zoo is a 763-foot zip line. On the zip line, you can sail over the animals in the Expedition Africa exhibit, including a herd of giraffes. Ohio’s tradition of animal conservation and education can’t be beaten. The Cincinnati Zoo is the second oldest zoo in the United States, and it is home to Fiona the baby hippo, famous across Ohio. It also features some of the best educational programs. Have you ever wanted to see a cheetah run? You can at the Cincinnati Zoo during one of their educational programs. The manatees are also a highlight at the Cincinnati Zoo. There is even a map showing where the zoo has re-released manatees across the state of Florida. The Cleveland Metroparks Zoo features an African savanna with ostriches, giraffes, and zebras. However, the real highlight of this zoo is the Australian Adventure exhibit area. Visitors can even spot a koala bear up in the eucalyptus trees. There is also a walk-through kangaroo and wallaby area. We were certainly excited to spot a mama wallaby with her little joey just a few feet off the trail. Kids love the huge Yagga Tree treehouse complete with a rope bridge and a high, snake-like slide. The Greater Cleveland Aquarium is another fun place for animal-loving kids to visit in Cleveland. Special thanks to Kristine Dworkin who contributed to this article and wrote the first version originally published in 2012. Disclosure: Trekaroo contributors have been hosted by cities across Ohio to compile this list of the top 10 things to do in Ohio. All opinions are our own. Thanks for checking out our blog. Each museum, in Ohio and otherwise, operates with a unique set of policies regarding pets. Your best bet is to call the museums you are interested in visiting to see if they have a pet policy. Cheers!